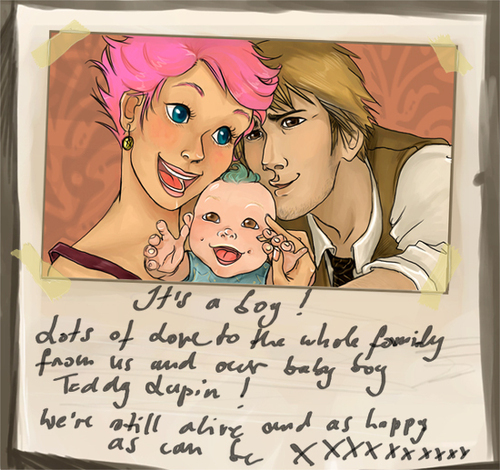 Lupin, Tonks and Teddy. . Wallpaper and background images in the Tonks & Lupin club tagged: harry potter lupin tonks teddy fan art. why did they have to die! y did they av 2 go??!! !